^ Abrams, Natalie. 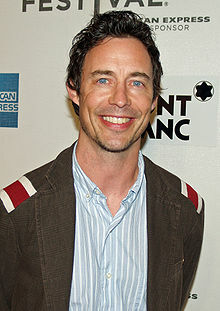 Ed's Tom Cavanagh Joins The CW's The Flash Pilot. TV Guide. February 10, 2014 [2014-08-13]. ^ 'The Flash' & 'Arrow' Stars Battle in 'Superhero Fight Club' Promo. April 13, 2015 [2017-05-15]. ^ Leane, Rob. Crisis On Earth-X Reveals Dark Flash's Origin. Screen Rant. November 28, 2017 [2018-04-27]. ^ 'The Flash' EP on "Heartbreaking" Finale Death, Season 2 Speedsters and Villains. The Hollywood Reporter. May 19, 2015 [2015-09-23]. ^ The Flash: 314 "Attack on Central City" Review – Cult Fix. Cultfix.co.uk. 2017-03-02 [2017-12-15]. ^ The Flash: The Once And Future Flash Review & Discussion. Screen Rant. April 25, 2017 [2017-08-14] （美国英语）. ^ Agard, Chancellor. The Flash recap: Sherloque Wells helps reveal Nora and Cicada's connection. EW. October 23, 2018 [December 7, 2018].